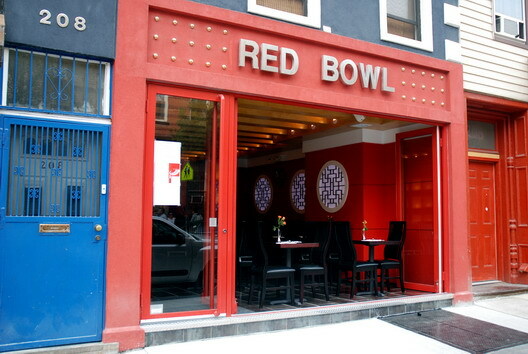 1) Red Bowl is open on Bedford Avenue. The new restaurant--which is the third addition to Bedford's little Asian Row that includes Wild Ginger and Thai Thai--bills itself as new Asian, but the mix leans heavily toward refined Chinese. Which is a nice thing based on the dishes we sampled, which included Fried Seaweed and Scallion Pancake appetizers as well as Kung Po Shrimp and a Chinese Broccoli and Tofu stir fried with Garlic. The shrimp, while excellent, were actually General Tso's Shrimp or a very odd rendition of Kung Po. Regardless, it was good, although it paled in goodness compared to the Chinese Broccoli. The nicest thing about Red Bowl, in fact, may be the huge selection of fresh seasonal vegetables ranging from mustard greens to four different varieties of bok choy. They can be prepared with oyster sauce, garlic or steamed. Given that good, simple vegetable dishes can be hard to get outside of the various Chinatowns in Manhattan, Brooklyn and Queens, Red Bowl is actually adding something nice to the Bedford food options. The bathroom sink is a big, opaque red bowl, by the way. 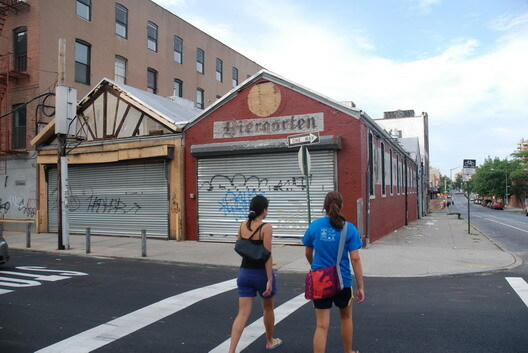 2) Work continues on the new Radegast Hall & Biergarten that will open at Berry and N. 3rd Streets. Looks like work on the Austro-Hungarian beer garden and restaurant is at an advanced stage. (This would be the place with the 2,000 square foot beer garden with the roof that opens.) "Biergarten" signage has been applied via paint that is intended to look old, as you can see in the photo below. See something in your Brooklyn neighborhood? Then, for the Love of God, say something to GL. We gladly accept tip for Brookyn Nibbles and anything else, so if you have something for us, email us at gowanuslounge (at) gmail (dot) com. Thanks for the post re: Red Bowl... thankfully, I remembered reading it when we were down at Bedford this weekend looking for something to eat. Yum.